What is this? Or how does one even correctly pronounce the word? So there we stood, in the dermatologist’s office, repeating THIS word in our heads out of fear of forgetting. So many questions; the most important one being: is it fatal? Why us? Why my baby? What did I do wrong? I rewound back to day one of my pregnancy, following every phase, analysing every move. What could possibly have caused this terrible disease? It was 2014. We had gone to the paediatrician with our three month old son. His body was covered in spots, and more were appearing. 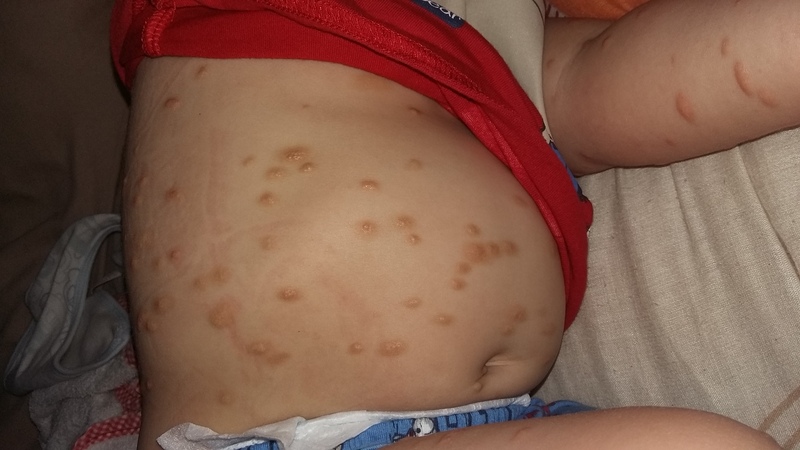 The paed called him “Spotty” and not knowing what the spots could possibly be, we were referred to a dermatologist who diagnosed him, with a biopsy. I will never forget the following weeks after we learnt of his diagnosis. I’ve never been more scared, sad and upset at once. There was nowhere to turn to, no one to ask for advice. Wikipedia explains it as follows: Mastocytosis is a rare disorder affecting both children and adults caused by the accumulation of mast cells (also called mastocytes), a type of cell important in allergies. People affected by mastocytosis may experience itching, hives, and anaphylactic shock, caused by the release of histamine and other substances from mast cells. Most people with mastocytosis have the milder forms, which have only skin signs and no other features. Even the forms that involve the rest of the body are usually mild, but there are severe forms, including a nasty type of Mast Cell Leukemia. There is currently no cure for Mastocytosis, but there are a number of medicines to help treat the symptoms. My son started out on a daily dose of anti-histamine. We had to diarise his food intake for possible triggers. Some medication can also trigger a reaction. All the lovely newborn soaps and lotions were something in the past for us. We had a few trips to the emergency room, especially where abdominal discomfort was concerned. We had to take him for blood tests twice a year to monitor his Tryptase level. He is four years old now and doing well and our aim is to raise a confident little man! Some days are better than others. He does not tolerate heat very well. We are quite lucky as he does not have severe reactions. Our “go to” meds always seem to help. We don’t carry an Epi-pen anymore. Our doctor is positive that he will outgrow this by the time he is eight years old. He is attending school at the moment – we have had encounters of children teasing him. He knows he looks different and sometimes he will make a remark about it. In public he also does not go unnoticed. People stare and talk behind our backs. We were chased out of a play area once as another mom feared that her child would catch whatever my son has. We often get asked “does he have measles or chickenpox?” No! No! No! 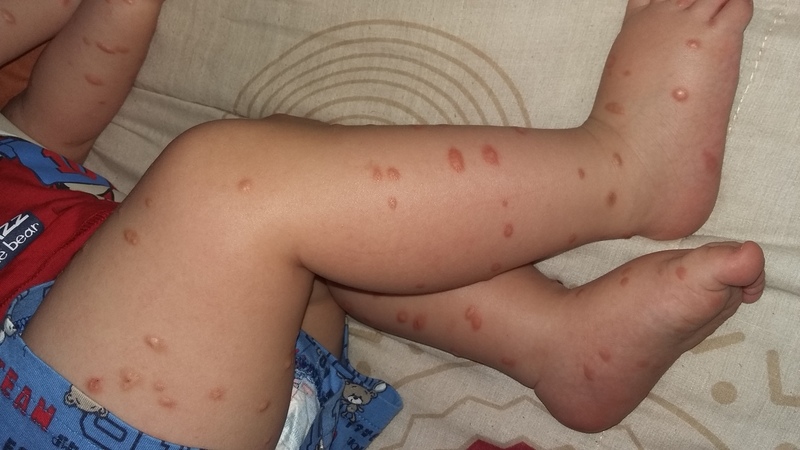 He does not have measles or chickenpox and it is NOT contagious. Spots Happen! Through a HUGE amount of luck and a bit of help, thanks to social media, we have managed to find more families, within South Africa, with children with the same condition. We have started a WhatsApp group, Masto Moms, and we are a lifeline for one another; supporting one another and sharing advice. We don’t know what tomorrow is going to bring – but one thing we all have in common is that we love our children dearly. We stand together and pray for a cure for this condition so that our children can have “normal” lives. But this is my story. There are thousands of masto children out there, each with their own daily struggle. Note: patients do not need to feel alone when diagnosed with mastocytosis. Trained allergists have experience with this condition. You can see our website for a list of allergy- trained doctors. Thank you for sharing. Would it be possible to share a picture or two, to help understand the symptoms?